Take 250 ml of Ghee in a pan and let it heat. 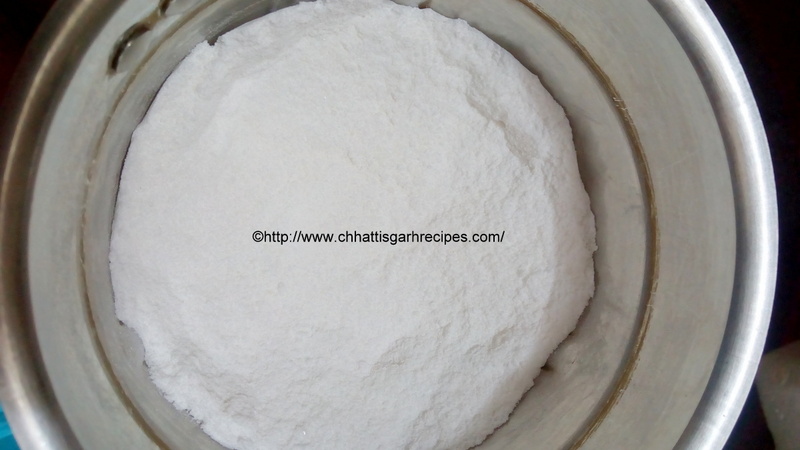 Once the ghee is warm, add 250 gms of gram flour and roast in low flame. 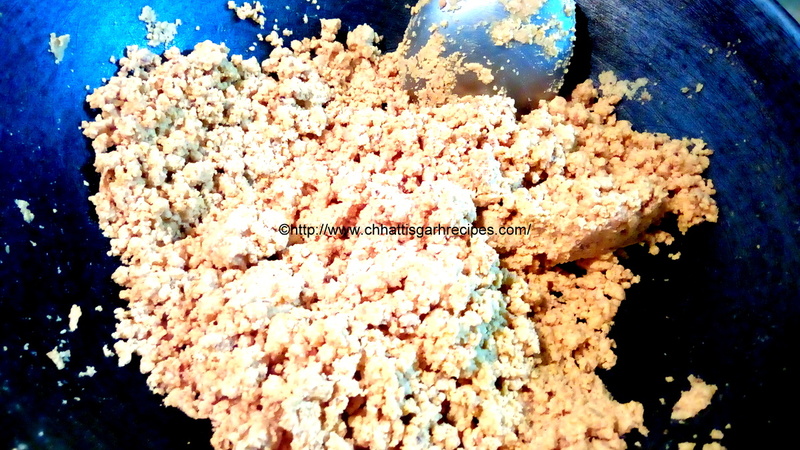 Remember to stir continuously the gram flour and change the sides of for evenly roasting. 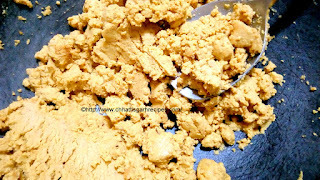 Slowly the color of gram flour will turn brown and very nice aroma of ghee and gram flour will start coming. 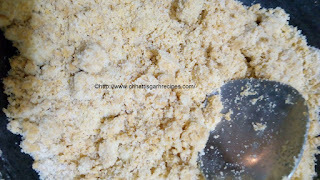 Once the gram flour is nicely roasted ghee start coming out of the flour, then switch off the flame. 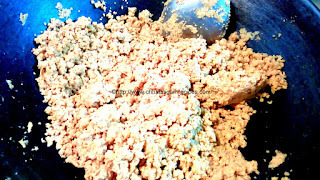 Take an equal amount of sugar and fine grind it in the grinder.,Start adding in the roasted gram flour (as per your taste). Now mix the mixture well. 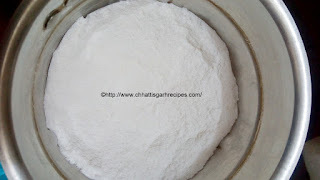 Mixing the sugar can be little tricky as the flour gets dry immediately. Start making laddoos (balls) from the prepared gram flour mix. 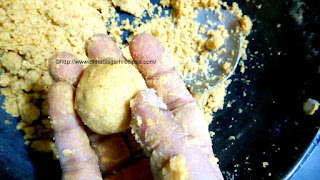 Note: Gram Flour or besan laddos are very much part of all Indian festivals. 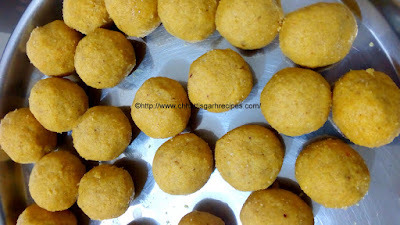 Most of the states has its own way to prepare basan laddos .This laddos are source of energy and protein.